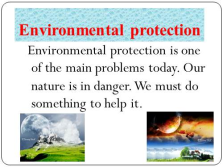 Environmental protection is one of the main problems today. Our nature is in danger. 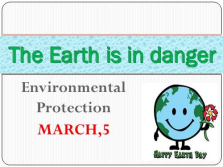 We must do something to help it. There’s no boarder for the light. There’s no boarder for the wind. 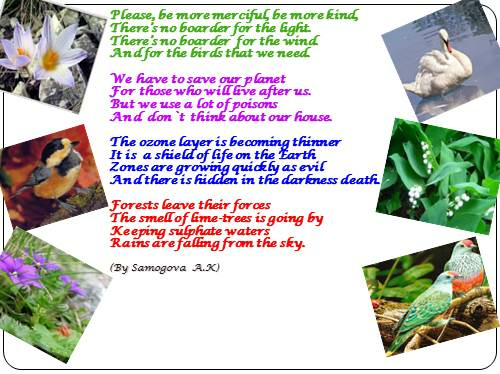 And for the birds that we need. 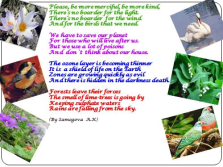 For those who will live after us. And don`t think about our house. And there is hidden in the darkness death. 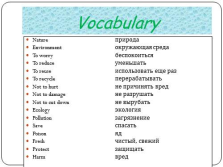 Rains are falling from the sky. 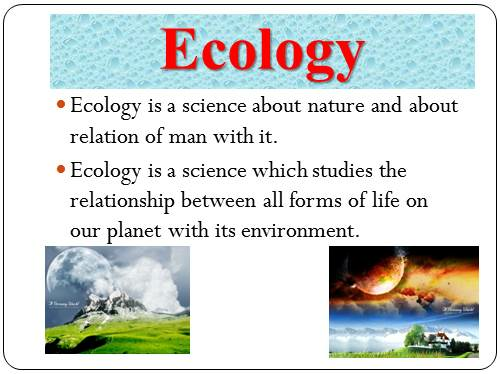 Ecology is a science about nature and about relation of man with it. 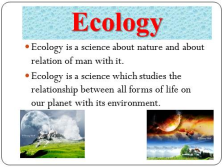 Ecology is a science which studies the relationship between all forms of life on our planet with its environment. 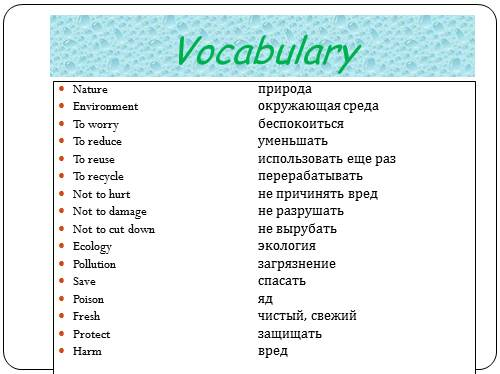 Greenpeace is an international environmental organization. 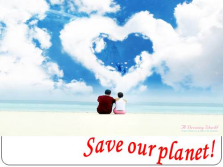 Members of Greenpeace appear in the places where the environment is endangered. They always act fast and bravely. 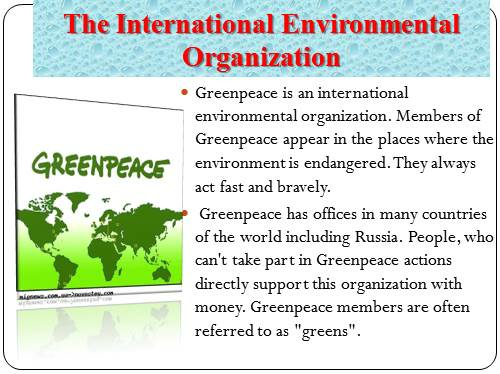 Greenpeace has offices in many countries of the world including Russia. 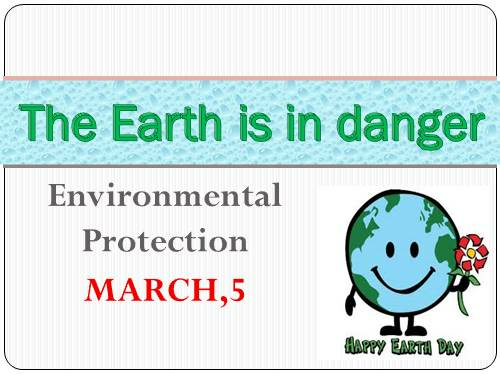 People, who can’t take part in Greenpeace actions directly support this organization with money. 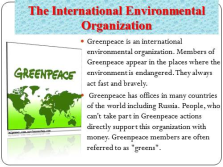 Greenpeace members are often referred to as «greens».